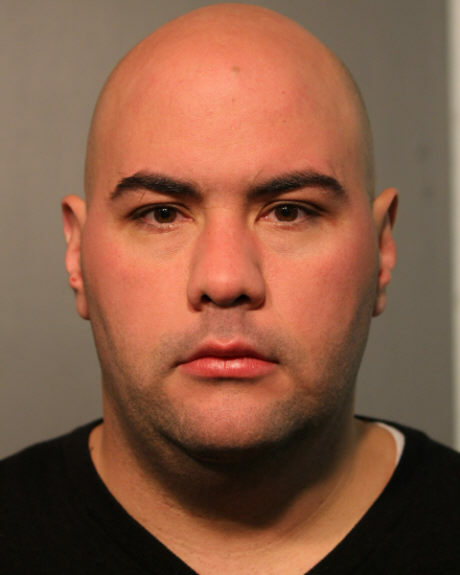 A one-time bartender in Wrigleyville and Boystown nightspots who went to prison for arson is back in jail, accused of impersonating the police during an assault near the 19th District police station on Sunday morning. A police spokesman said 34-year-old Daniel Grunauer approached a 21-year-old man in the 3600 block of North Fremont and “told the victim he was under arrest. The offender then tried to rob and sexually assault the [man]" around 5 a.m. on Sunday. But prosecutors have only charged Grunauer with battery and felony impersonation of a police officer. An off-duty officer saw the incident unfold and interrupted the crime, police said. Grunauer was arrested nearby minutes later with the assistance of on-duty officers. He is being held in lieu of $50,000 bail. In 2014, Grunauer was sentenced to five years in prison for burglary and a concurrent three years for arson in connection with an intentionally-set fire in an Uptown apartment development. He was paroled on June 30. At the time, Grunauer was considered the prime suspect in a series of alley fires that plagued Wrigleyville and Boystown during the summer of 2014. Many of the fires took place after bar closing time near Grunauer's then-workplace: Fiesta Cantina at Clark and Roscoe. Grunauer was also mentioned as the main attraction in the next-to-last tweet from Oak Park gay bar Velvet Rope before it burned down in an arson fire in June 2012. Velvet Rope owner Frank Elliott pleaded guilty to having the bar set ablaze in an insurance scam and received probation. Elliot also briefly operated Bonsai Bar on Boystown’s Halsted Street bar strip. Grunauer often picked up hours at Bonsai, a source said in 2014. Grunauer was never charged with the Oak Park fire or the local alley blazes. Notably, the alley fires ceased after he was arrested on the Uptown burglary and arson charges. Police said Grunauer listed a home address in the West Loop at the time of his arrest on Sunday. A CWBChicago source said that Grunauer had been living in the 600 block of Patterson in Boystown as recently as two weeks ago.